Its been a week since Valentines, which is also a popular day for breakups. For those who are over it all, its time for some great male fashions that are the complete opposite of V-day (Literally, blue is on the opposite color spectrum of red and pink ). We bring you two outfits today. 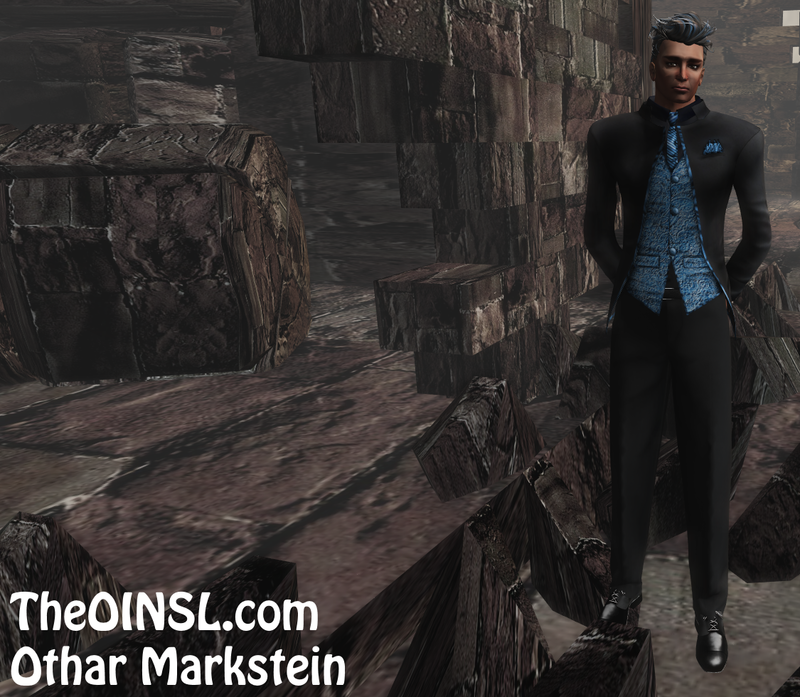 The first outfit you will see is from 69 Park Ave and is 169L this week on sale called Black Saphire – Formal Tuxedo. 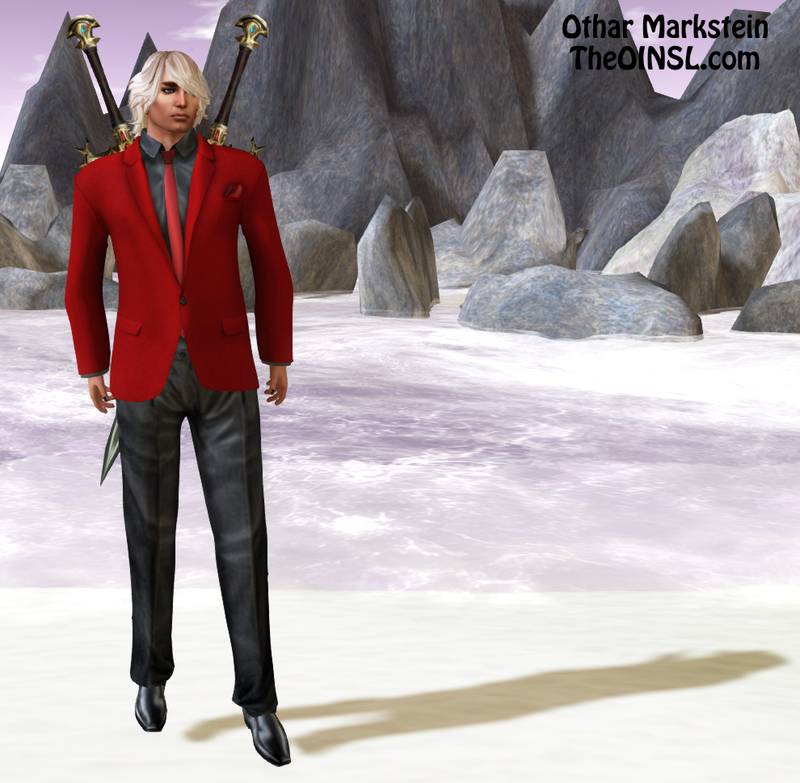 The second outfit is from Vengeful Threads and is called Men’s Equinox. 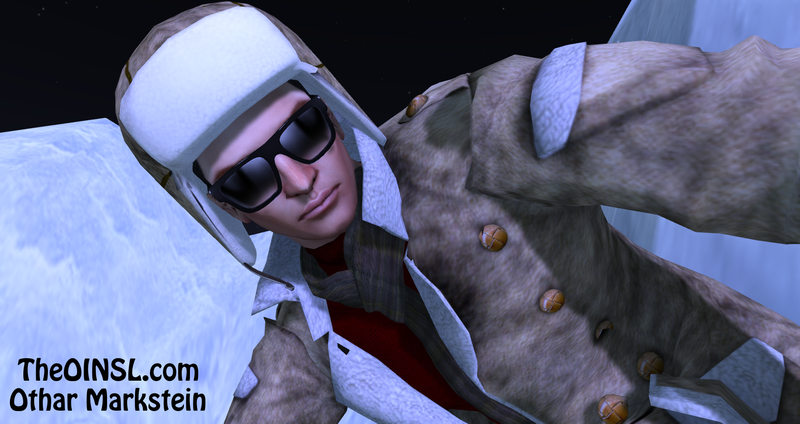 Men’s Equinox (with color change hud) is featured at Genre Dark Arts event from Feb 15th 2015 – March 12 2015. 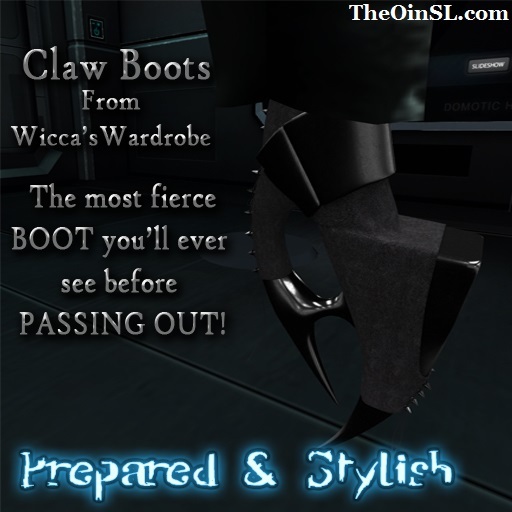 Vengeful Threads is also featuring slink nails for both men and women at this event. Both photos feature shoes from 69 Park Ave , and hair from Exile called Machinehead. Poses are Image Essentials Subtle Male 3 and 13. 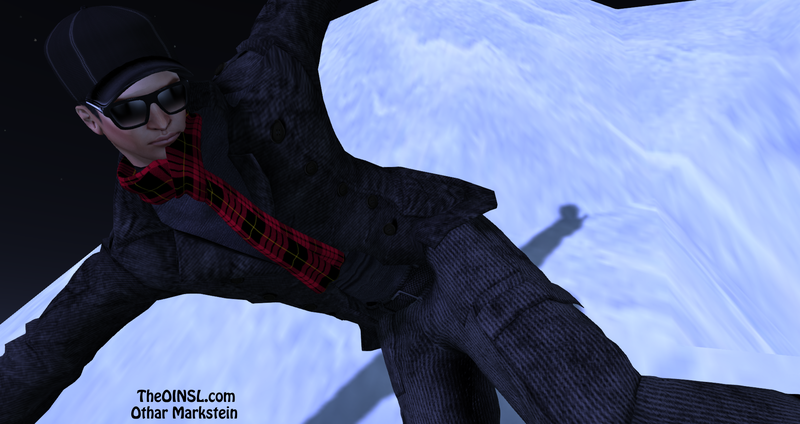 Today I bring you more of an accidental Dante from Devil May Cry men’s suit that also does wonders for Valentines day. This suit by 69 Park Ave comes in Red and Black, Red and White, or Black and White, for 169L each. Each suite also comes with matching shoes at no extra cost. So many Valentines day clothing and poses I am posting 2 times in one day. Kay and Image essentials are busy making Gacha items and are in several fairs this month, and most are inspired by Valentines day. See image captions for names of poses. I also want to welcome a new sponsor / partner to the blog. Please welcome Vengeful Threads who have provided the clothing for this blog. Outfit is called Vengeful Threads – Mens open shirt-Zuni Sky, and the black denum mesh pants are also from Vengeful Threads . Also special thanks to our Female model AJ for helping out. 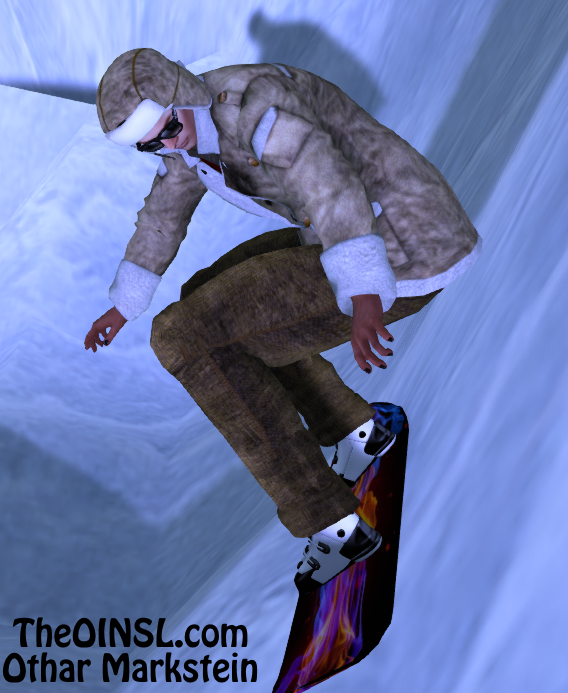 Time for some fun in the slopes of Aspen with ALL 4 RARE Image Essentials Gacha Snowboards with poses. 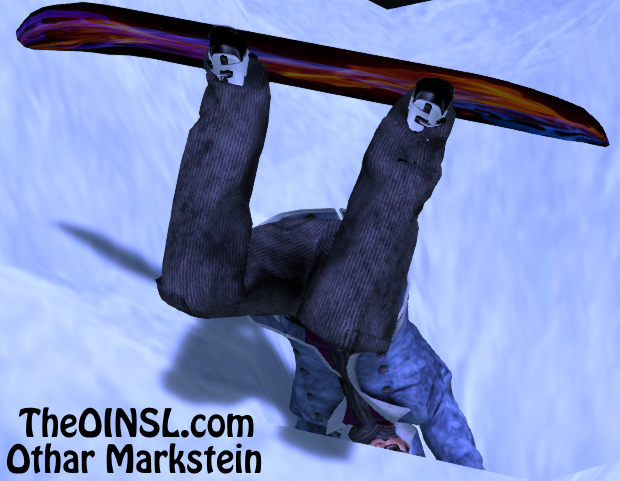 We will be featuring more winter clothes from 69 Park Ave and having allot of fun in the process. Style card listed at bottom. 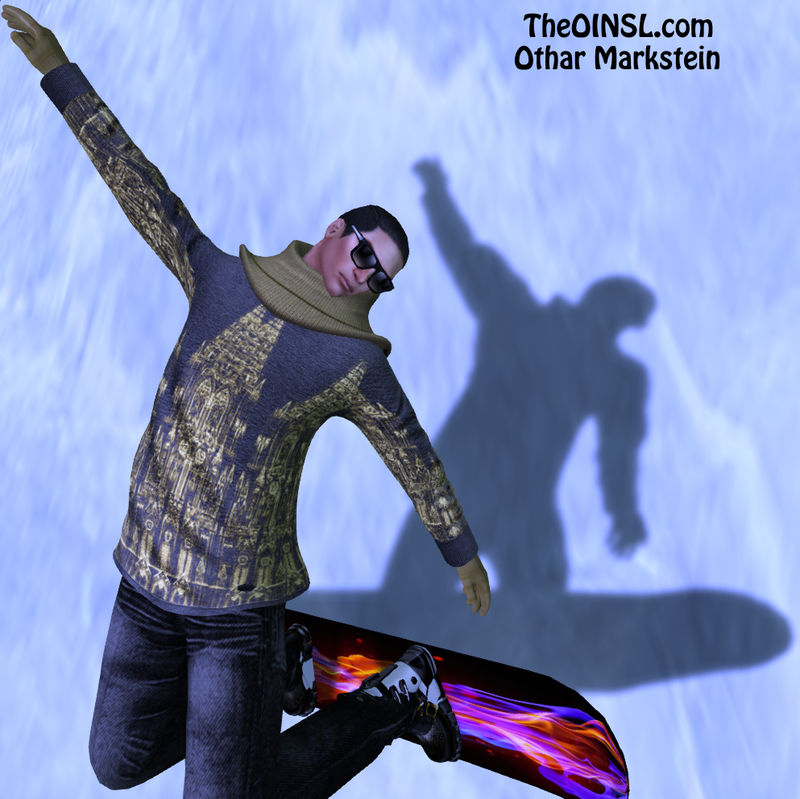 Poses for all images : Image Essentials Snowboard Gacha Rare: 4,6,8,9 . See image caption for details.